Matthew Tolbert is an award-winning screenplay, comic strip, comic book, short story, and greeting card writer. And beer snob. His works have been syndicated and published nationwide. 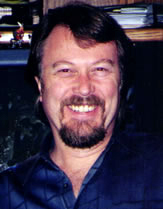 Proving that espresso works, he has written for Marvel, Malibu, and other comic book companies, has had science fiction, fantasy, nonfiction short stories, and poetry published in a variety of magazines, and greeting cards produced for Gibson Cards, Allport Editions, and Beyond.com. The Starter Marriage, a romantic comedy, is his first feature length screenplay. Present writing projects include his fifth script (this one is on Leif Eriksson) and a nasty email to his cable company.